Gabicci Vintage 'Searle' men's 1960s mod stripe panel knit polo shirt in flint. 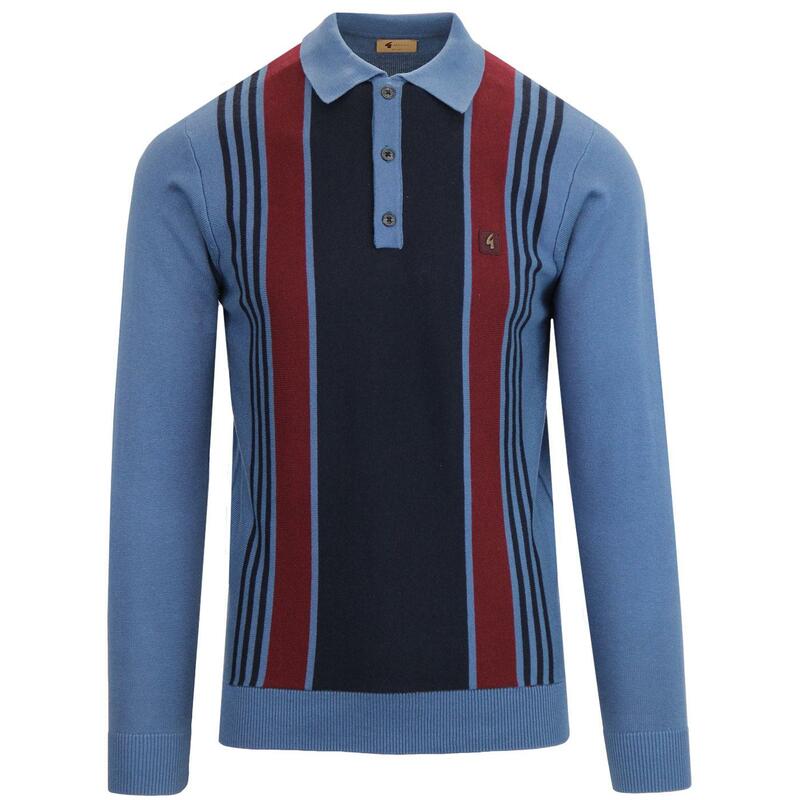 An authentic 60s Mod design and a Gabicci Vintage staple garment, the 'Searle' polo top features a sublime retro stripe and block panel design. 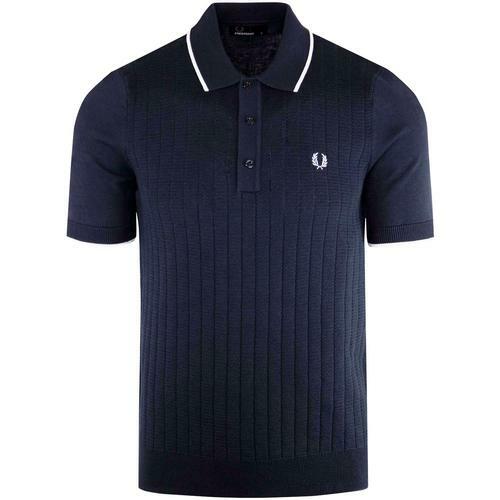 Contrast deep red and navy stripes adorn the front of this long sleeve Retro knit polo shirt, accompanied by a navy centre panel. The ribbed fold down collar adds to the overall mod feel. 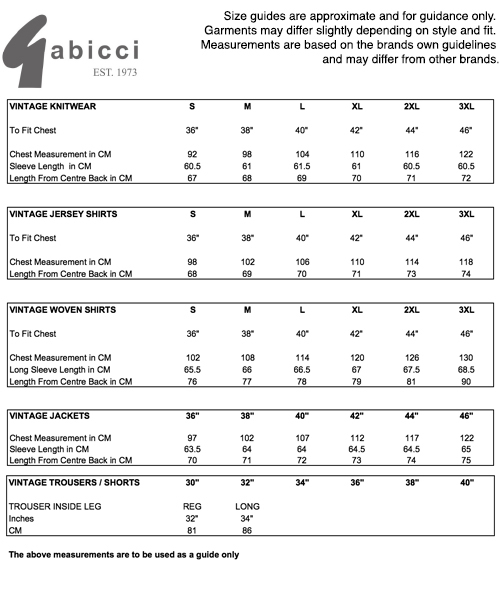 Ribbing to cuffs and hem. 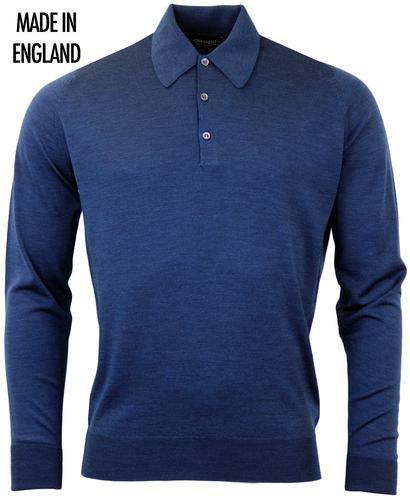 The Gabicci Vintage 'Searle' long sleeve knitted polo top is perfect for adding a stylish retro look to your seasonal attire. 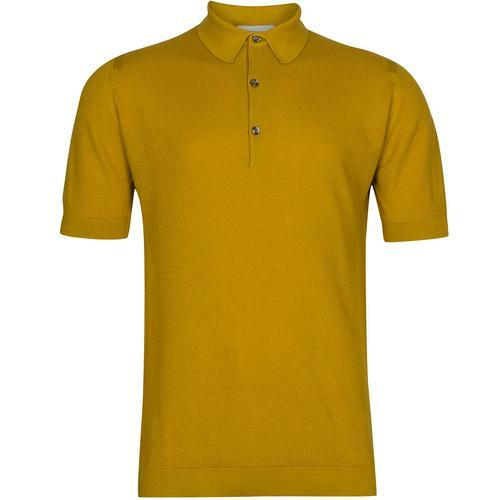 - Gabicci Vintage 'Searle' men's 60s mod stripe panel knitted polo shirt in flint. - Retro stripe panel detailing to the front in deep red and navy. 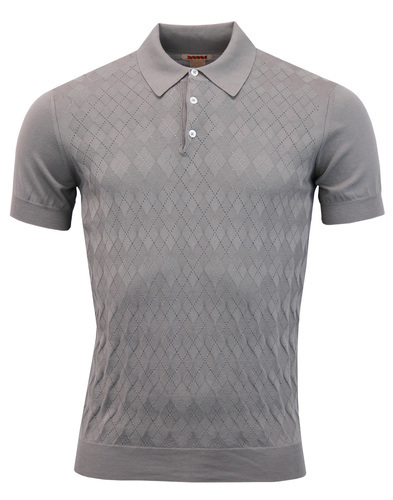 - SKU: V41GM03 Searle Knitted Stripe Polo Shirt.